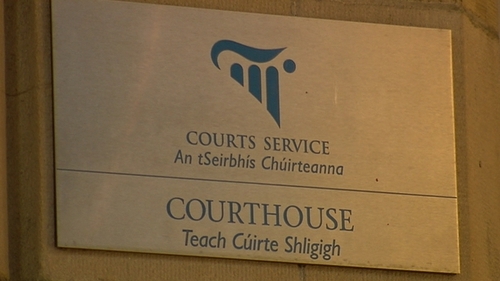 A Sligo man has gone on trial for deceiving a couple who agreed to buy two ponies from him for their daughters. Michael Kearins, with an address at Knockbeg, Collooney, Co Sligo, but who is currently living in the US, pleaded not guilty at Sligo Circuit Court to the charge of deception between 24 August 2012 and 19 October 2012. Sean Ewing, who is originally from Donegal, told the court he has lived abroad since going to school in Sligo. He said in 2012, he and his wife Teresa and their two daughters were living just outside Palma in Majorca. Their daughters, then aged eight and ten, had an interest in show-jumping and on a visit to see his father in Sligo, he followed up an advert on DoneDeal for a pony. The family subsequently went to view the pony at an outdoor arena at Mr Kearins' family home in Collooney. The pony was a grey and was called Teddy. While they were there, they were shown a second pony - a skewbald called Buddy - which, Mr Ewing said, they were told was potentially a European pony and so would have been expensive. Mr Ewing said they went to view the horses a second time to evaluate their temperament and then went to see them in Claremorris, Co Mayo, where his wife and daughters rode them in an indoor arena. Mr Ewing told the court that after they returned to Majorca, Mr Kearins was "chasing" him in relation to buying the ponies and there was some "horse-trading" and to-ing and fro-ing in September 2012. About four different agreements were reached with different arrangements for transporting the ponies to Majorca, he said. Mr Ewing said he only ever agreed to buy two ponies, the cost was €20,000 and a deposit of €10,000 was paid to Mr Kearins from a family trust fund - the balance to be paid when the ponies arrived in Majorca. However, Mr Ewing said when the deposit was paid, only one pony, the grey, was sent with a haulage company from Sligo. When the truck was just a half-an-hour from Sligo, Mr Ewing said he was told he had to pay for the haulage and he told the company to turn back, that that was not the agreement. Subsequently, it was agreed to send the two ponies - Teddy and Buddy - to Majorca, with a financial arrangement made in relation to the transportation costs and payment of the balance due. When Mr Ewing saw the ponies at the stables in Majorca he said the skewbald was nothing like the one they had viewed, it was a completely different animal and very frail looking. The passport with the pony identified it as Spot but, he said, the pony they had bought was Buddy. "A wonderful and very good quality pony was shown, but a significantly inferior one was sent", Mr Ewing said.